Delivering solutions with exceptional value and superior customer service. Markforged is focused on delivering high quality, high performance 3D printers that build strong parts. From composite structures to metal 3D printing, Markforged products are designed to meet your needs. For composite parts, two plastics are available: tough nylon and Onyx (nylon with chopped carbon fiber). For additional strength and depending on the model, a second extruder embeds a continuous fiber. The fiber choices include: carbon fiber, Kevlar, fiberglass, and high strength high temperature fiberglass. Markforged also delivers metal 3D printing, initially in stainless steel and H13 tool steel with several other metals in beta testing. 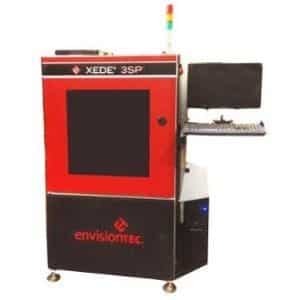 Since its founding in 2002, EnvisionTEC has pioneered multiple technologies to deliver industrial grade 3D printers for a broad spectrum of markets. While EnvisionTEC is best known for its leading positions in the orthodontic, jewelry, and hearing aid markets, their offering is directly applicable to aerospace, automotive, biofabrication, and consumer markets, to name a few. 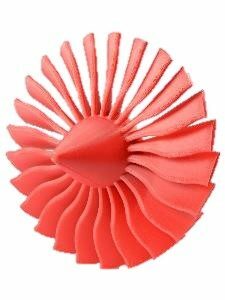 With six distinct 3D printing technologies, they are perhaps most noted for their methods that us UV photo cured resins. With proprietary methods that include gray scaling and pixel shifting, EnvisionTEC delivers the best surface finish and part accuracy in the industry. According to the 2017 Wohlers Report, EnvisionTEC was the third largest 3D printer manufacturer in the world for 2016. Headquartered in the U.S., Formlabs was founded in 2011 out of MIT and now employs over 400 people with offices in Germany, Japan, and China. 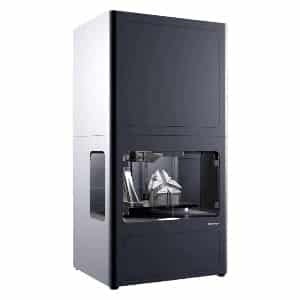 As the flagship product, the Form 2 leverages stereolithography (SLA) technology to bring very affordable, industrial quality 3D printing to the desktop. 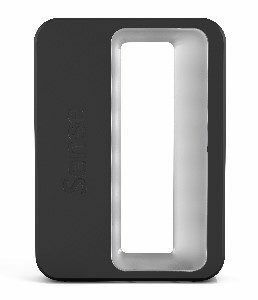 The Fuse 1 is on the horizon and is based on selective laser sintering (SLS) technology. 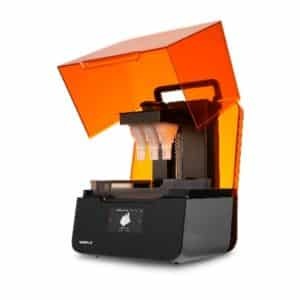 In addition to developing high quality 3D printers, Formlabs also develops high performance materials, a key ingredient to every 3D printing success. 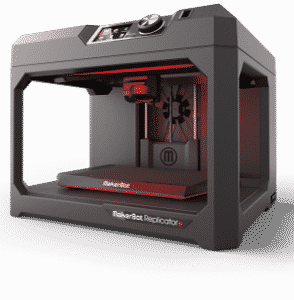 MakerBot was founded in 2009 and has sold 100,000+ 3D printers, more than any other manufacturer in the world. Their current offering includes four models, and they are the market leaders in the education segment. The Mini+, Replicator+ and Z18 print PLA and Tough PLA, a material with physical properties that resemble ABS but print with ease just like PLA. With the Smart Extruder+, MakerBot has taken 3D printing to a new level of reliability while also providing automatic detection of the end of the filament and the capability to replace spools during a build and then resume. The fourth model, the Replicator 2x, has two extruders and can print PLA and ABS. With the second extruder, one can print in a part with a second color or print dissolvable supports. Fusion3 was founded in 2013 with a strong commitment to design and manufacture affordable, reliable, highly capable industrial 3D printers. The F410 has a large build platform and is well-suited for both commercial and education market segments. This unit comes with a 0.4 mm dia. 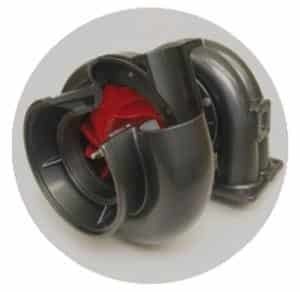 nozzle with 0.6 and 0.8 mm nozzles available optionally. This flexibility meets a broad spectrum of needs from fine detail to increased capacity for faster printing with a slight reduction in surface quality. Fusion3’s commitment to quality and reliability is backed by an industry-leading 2-year warranty. 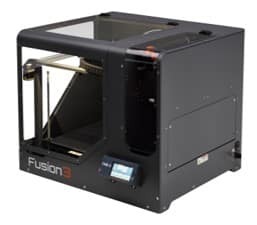 By design, Fusion3 does not make or sell filament for their 3D printers but instead they believe that owners should have the flexibility to choose the right material for their own needs. 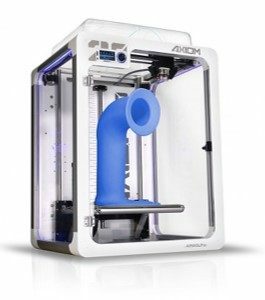 Located in Southern California, Airwolf 3D manufactures 3D printers with large, heated build platforms, enclosed build chambers, and direct drive extruders, and these units can run over 40 materials. The auto-leveling feature occurs at the start of each build, ad it requires no user involvement whatsoever. Packed with features, these 3D printers are designed to meet the needs of both the commercial and education markets. The largest of their offering is the AXIOM 20, which can build parts up to 12.5 x 12 x 20 inches high. EinScan 3D scanners by Shining 3D provide incredible value by delivering high performance at competitive price points. Two models are available: the EinScan Pro 2X and the EinScan Pro 2X Plus. Optional features for both models include: 1) full color capability, and 2) a tripod/turntable package. The EinScan Pro 2X Plus has a larger field of view than the EinScan Pro 2X and is compatible with the HD Prime Pack. 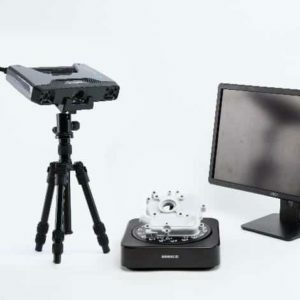 The Sense 3D Scanner by 3D Systems provides incredible features at a ridiculously low price. 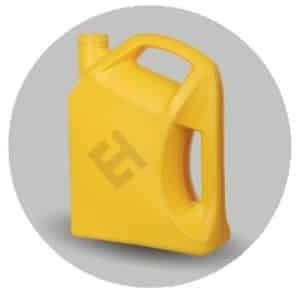 This model is a perfect addition for the family or classroom and can also meet the needs for some applications in the commercial market segment. This unit is light and portable (small enough to fit in your backpack or laptop bag). The included software provides STL and OBJ file formats, both of which are widely used in the 3D modeling and 3D printing industries. Very Competitive Pricing. 1st Class Customer Service. We build high surface quality, strong parts that make your design a reality within hours. 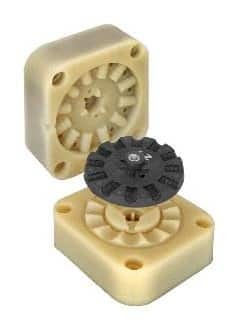 Medical devices, anatomical models, mold inserts, tooling fixtures, master patterns, and architectural models are just a few of the types of parts we fabricate. We work with you to determine the best 3D printing technology for your application, while balancing strength, accuracy, finish, and cost. In some cases, our clients first look for a low-cost, first iteration for a simple proof-of-concept or a fit check. 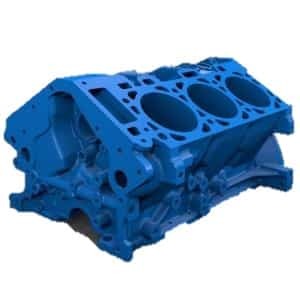 We can also employ technologies which provide greater strength and/or higher accuracy and/or better surface finish, all in accordance with our clients’ needs (after a first iteration or from the outset). Need to embed a threaded fastener or an electronic board inside your part? We do that. 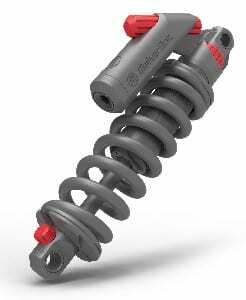 Looking for the strength of composites? We can embed continuous carbon fiber to achieve strength-to-weight ratios that exceed 6061 aluminum. Want to embed Kevlar or fiberglass instead? No problem.